I know what you’re thinking. Another post about New Mexico? I’ve been gushing about New Mexico and how much we love the state parks, what a good deal they are, how pretty everything is, blah, blah, lakes, and blah blah cool shaped rocks, for what feels like forever. I hear you. I am trying to move on, I really am. I just have to get this one last post out of my system. You see, it’s been since the fall of 2012 when we spent six weeks exploring eight different Oregon state parks (we moved a lot faster back then), that we’ve felt this kind of admiration for a state park system. Back then I wrote a post titled, 5 Reasons Why We Love Oregon Coastal State Parks, and it only seems fitting that New Mexico gets the same treatment. 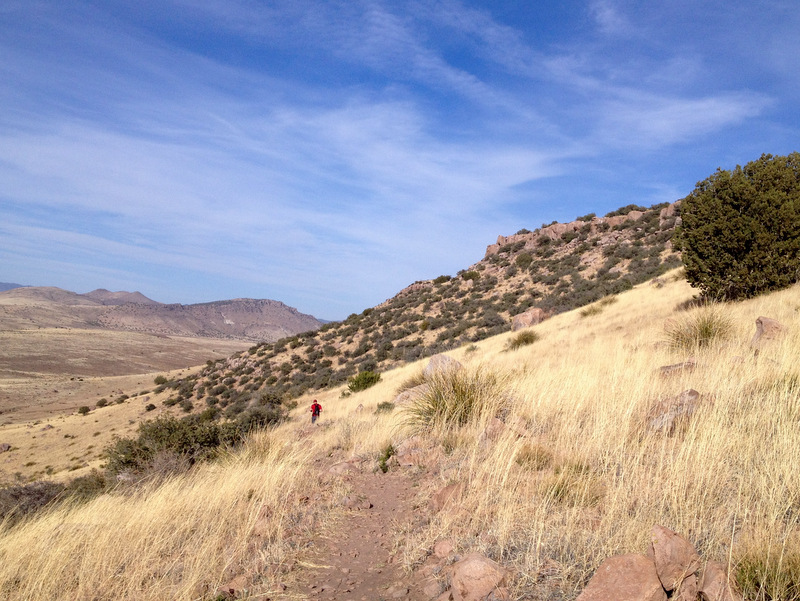 So here it is – the Five Reasons Why We Love New Mexico State Parks. Site 10 for $10. Now that’s value! When it comes to value New Mexico State Parks simply can’t be beat. The fee scale is $8/primitive camping, $10/dry camping, $14/electric & water, and $18/full hook-ups. We have not found this kind of deal at any other state parks around the country. Most state parks are upwards of $20/night for dry camping (unless your CA and think you can get away with charging $35-50). New Mexico SPs also don’t sneak in extra charges like a day use fee in addition to your camping fee, jacked up prices during the popular season, or pay showers. The best part is that New Mexico offers a camping pass that is good for one year and reduces your per night fee by $10/night. I wrote a bit about our experience with the pass in my last post on New Mexico. 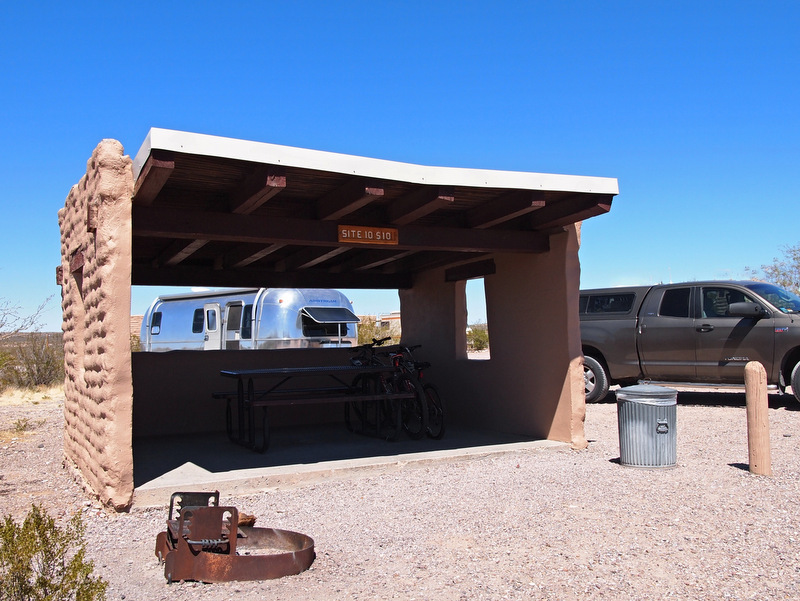 All the NMSP sites (except for primitive sites) are equipped with fire rings/grills, and picnic tables. Very often the picnic tables are under a covered structure, and a few even had lean-to like buildings which provided an outdoor room free from the famous NM wind. We found a good number of easily accessible water spigots in dry camping areas, and lots of trash cans spread around the campground. A few of the parks even offer WiFi, which we happily took advantage of during our stay at Bottomless Lakes SP. An excellent value all around. I used to think that all state parks in all states must be beautiful. After all, why build a state park in an ugly area. Well, I am here to tell you that it happens. I won’t go into details, but we’ve come across a few ugly state parks in our travels. Not in New Mexico though. Every state park we visited was beautiful. Most have amazing views of the surrounding area, many are located on picturesque lakes, some are situated in the mountains, near rolling hills, or among crazy looking rock formations. All of this beauty is preserved and maintained daily by a crew of hard-working volunteers and rangers. Hardly a day went by during our nine weeks at various NMSPs that we didn’t see someone out mowing, pulling weeds, raking sites, emptying the trash, or any number of other tasks to keep these beautiful parks beautiful. Every single New Mexico SP we visited had at least one trail accessible from the campground. Sometimes it was just a short trail that connected the loops and traveled through the native garden (another thing many NMSP have), and other times is was an extensive network of trails up hills, over bridges, and through rocks. Because our schedule doesn’t always allow time for us to leave the campground and drive miles away to find a trail, staying at a park with trails is high on our priority list. There’s nothing more convenient than setting out for an afternoon bike ride, morning run, or mid-day hike right from the front door. We tried out the trails at all of the NM state parks where we stayed and were pleased with the condition and variety of terrain. This is the first time we’ve come across state parks with visitor centers. We’re not talking about tiny kiosks with pamphlets either. These are full-size buildings full of interesting and informative displays all about the park. Displays about the history of the park and surrounding area, the wildlife and plants that call the park home, and interesting facts about the geology that makes each park unique. The visitor centers are staffed by volunteers who will happily share with you their knowledge of the park while filling your arms with more pamphlets and maps than you can carry. Need a postcard to send Grandma, a sticker for your collection, or a field guide all about New Mexico insects? The visitor center has all that and more. 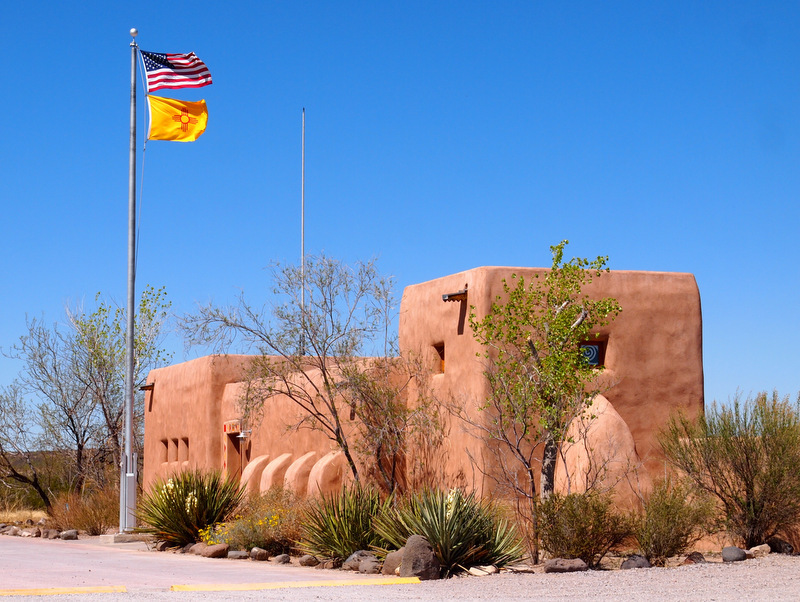 I can’t promise that all New Mexico State Parks have visitor centers, but the ones we visited did and we were very impressed with what we saw. We hate making reservations. It takes away from the spontaneity that this lifestyle offers. As a result, we only make reservations when we have to, such as over holiday weekends, or at places that we know are especially popular. Sometimes this means we have a hard time getting into state parks where vacationers have reserved all the good sites months in advance. Except in New Mexico. All of the New Mexico SPs only offer up some of their sites for reservation, and the rest are available on a first-come, first-serve basis. This makes it much easier for people like us to just show up and find a spot. A few of the parks also have overflow parking areas where they let you park overnight if the campground is full. To top it all off, many NMSP offer primitive camping. For $8/night (or free with your NMSP pass) you can camp anywhere you want within a designated area. 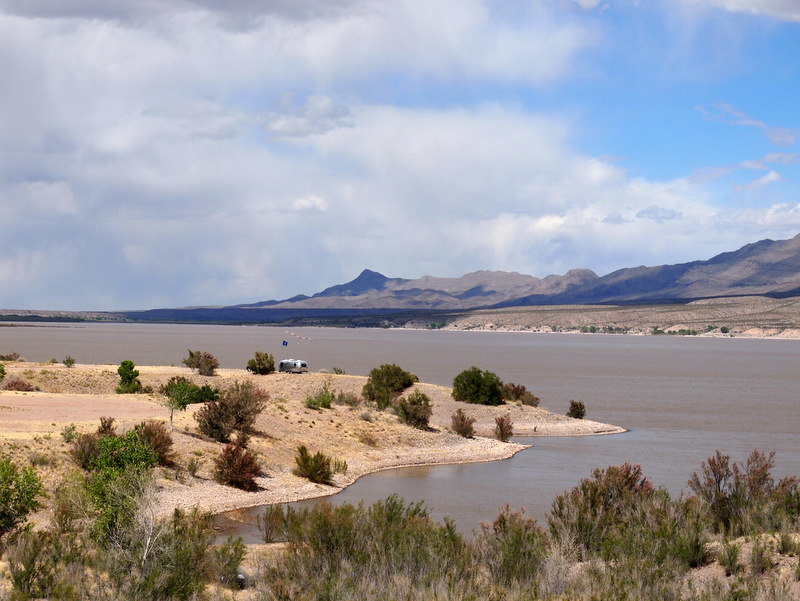 Four of the parks we visited offered primitive sections – Caballo Lake, Elephant Butte, Brantley Lake, & Heron Lake. All of these primitive areas were on the lake shore. The primitive sites don’t have picnic tables or fire rings, but you still get access to everything within the state park such as water, trash, recycling, and showers. We saw a surprisingly low number of campers taking advantage of these primitive areas. I guess that means more room for us! This is a great post and I am totally convinced. You aren’t the first person I’ve known to rave about NM State Parks. Other states could definitely take a lesson. Now if I could just get out to New Mexico without one thing or another contriving to keep me in the east. I wish other state park systems would learn from NM. Especially in regards to cost. Good luck getting out of the east! 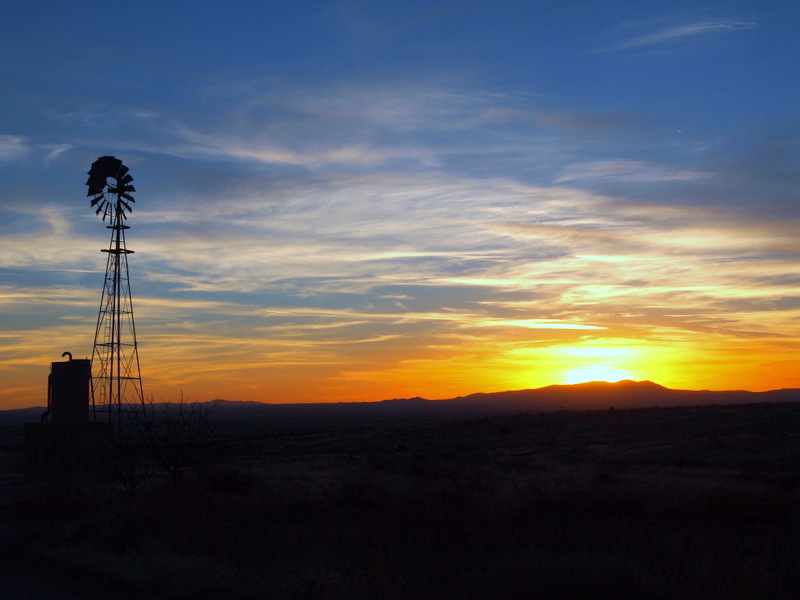 Now I am not only looking forward to your next post, but retracing your travels in New Mexico. We are big fans of New Mexico and have “vacationed” there from Vermont 4 different times. We visited a few of the spots you camped at. On another note: The Devil Makes Three are doing a benefit concert in July in Putney, Vt(town next to us). Already have our tickets. That will be our second event with them in three months! And we didn’t even know about them until reading about them in one of your posts. Thanks again! Wow! You’re really getting in a lot of the Devil Makes Three! We’re looking forward to seeing them at the Red Rocks Amphitheater this August. It will be our first time at Red Rocks. We are really looking forward to exploring the New Mexico parks when we get on the road. As for the Kindle link, in prep for our full-timing life, I have sold all of my cookbooks at garage sales and replaced them all with the Kindle versions. I am up to 54 cookbooks on my Kindle. Love it! I appreciate all the time you have spent on your NM posts. We had some rough weather when we traveled through there so it is nice to see another side. We plan to go back and explore at a more leisurely pace. Thanks for this wonderful recap of NM State Parks. You’ve convinced us! Next year for sure .. On our travel plan. Great summary about NM state parks. I was raised in NM and can relate to most of the areas where you traveled. I hope to get to some of them in the RV soon. Thank you for the info on NM state parks. The photos are stunning! I’m looking forward to spending some time in NM and your site will be one of my go-to sources for places to go. Many thanks!! Black lake New Mexico. Havnt found him yet but I will keep looking cause GOD himself lives in there somewhere. I’m a died in the wool fight to the death at the Alamo if I was needed but New Mexico is my love. We are spending our first winter in New Mexico, and we’re staying at at least 10 of the state parks (using the annual pass). Thanks for the excellent information! I hope you love the parks as much as we did! Someday we’ll make it back that way for a repeat visit.